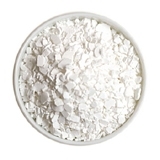 China CALCIUM CHLORIDE Suppliers, China CALCIUM CHLORIDE Manufacturers. White, crystalline solid. Odorless. Solutions are clear to light yellow. Hygroscopic or deliquescent.